Tom was born in 1988 in an animal park in Ostrava in the Czech Republic. When he was four months old, he and his brother Jerry were sold to an animal-tamer and were kept in an animal park in Austria until 1993. Here, Tom had to perform daily in the so-called 'bear school'. In 1994, his owner founded a circus called the 'Golden Circus' with the brother bears as one of its main attractions. From now on, they both lived 'on the road', travelling across Europe in a small wagon. FOUR PAWS made efforts to rescue the two bears from 1995 and was finally successful when a joint agreement was reached in 2000. 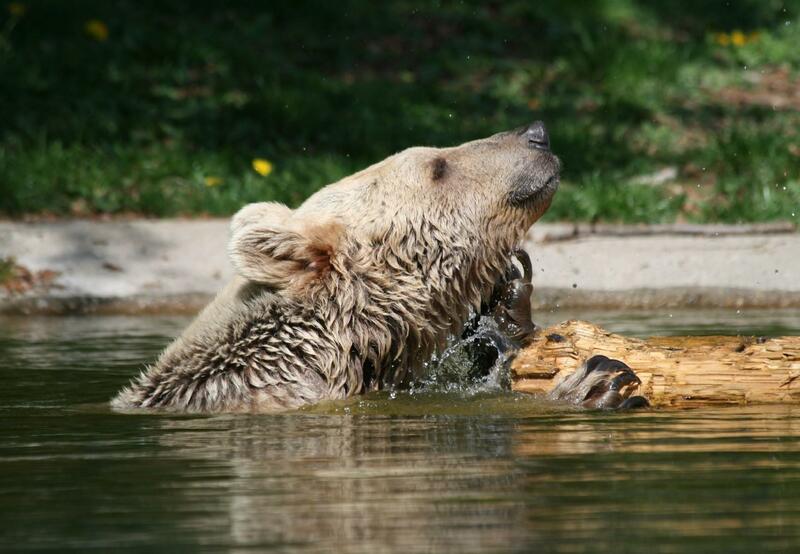 The bears were transferred to the BEAR SANCTUARY Arbesbach where visitors can often watch them playing – one of their favourite behaviours.